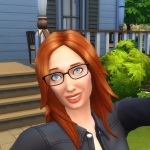 This is an UNOFFICIAL Sims (Freeplay) forum, we're not affiliated with Electronic Arts or Firemonkeys! To keep the forum a nice place, stick to the rules or be punished. Reminder: Inactive users with 0 posts are deleted on a regular basis (after 6 months of inactivity). 2. Members should post in a way that is respectful of other users. Flaming or abusing users in any way will not be tolerated and will lead to a warning or a ban. This includes Trolling! (See http://en.wikipedia.org/wiki/Troll_(Internet) for a definition of a Troll). 3. Members should remember this board is aimed at a general audience. Posting pornographic or generally offensive text, images, links, etc. will not be tolerated and will lead to a warning or ban (depending the severity of the post). 4. Members are asked to respect the copyright of other users, sites, media, etc. Users linking to or asking for information on warez, crackz, etc. or re-printing material without permission will receive a warning and their post will be removed. This does not include references to official news regarding The Sims Freeplay. 5. Members are asked only to post in English, as this is an English speaking community. 6. Members should post in a way which is consistent with "normal writing". That is users should not post excessive numbers of emoticons, large, small or coloured text, etc. Similarly users should not SHOUT or use excessive punctuation (e.g. ! and ?) in topic titles or posts. Users consistently abusing this will be warned. 7. Members should use an appropriate, descriptive subject when posting a new topic. Examples of bad subjects include; "Help me! ", "I'm stuck! ", "I've got an error! ", etc. Examples of good subjects include; "My game crashes when I tap a Sim", "Cannot restore a cloud save", etc. 8. Spam is not tolerated here under any circumstance. Don't advertise any websites, products, and/or services! (Including advertising and invites for FB groups/pages, twitter-follows, instagram, tumblr, youtube subscribes, and other "services".) New Users posting spam will be warned or banned (depending the spam content) and their post(s) removed, others will be warned. Posting URLs is blocked for new users to prevent spammers posting links and their posts require approval by a moderator. Once the required amount of posts (currently three) is reached, this block is lifted. Any attempts to circumvent this block to post "spam" URLs (signature or otherwise) will result in a ban. 9. The moderating and other teams reserve the right to edit, remove or put on moderation queue any post at any time. The determination of what is construed as indecent, vulgar, spam, etc. as noted in these points is up to Team Members and not users. 10. (Sims Freeplay mostly:) Discussions about cheats, game-file editing and circumventing the online-store (= digital THEFT!) are forbidden. (This applies to Origin store with regards to the regular Sims series.) This is a no warning, ban policy. Those who post about circumventing the payment system for the online-store will be reported with IP-address to the fraud departments of EA and FM! Note: Exploiting bugs and glitches within the game without the use of apps is also considered cheating. Your (EA/FM) player id can be banned from their services as stated in the official User Agreement! 11. Offering or asking for towns is against the EULA (End User License Agreement) of Facebook, Apple, Electronic Arts, and Firemonkeys. Therefore it's also against the forum rules. This is a no warning, ban policy. - We operate a three strike policy. Users will be warned a maximum of three times for any and all offences in a three month period. If the need arises for a fourth warning, a temporary ban will be put in place for a period left up to the moderators will be based on the severity of the involved warnings. Exceptions to these warnings are rule 10 and 11, offenders will be issued a permanent ban. In all cases, permanent bans will be issued on severe cases. - Arguing with team members after having received a warning will lead to an immediate additional warning. Should this exceed three strikes a temporary ban will be put in place as above. - Users who feel they have been unfairly warned are welcome to contact the relevant team leader, e.g. if warned by a moderator you should contact the Moderator team leader. If they feel you were treated badly they will remove a warning. Currently there is only me: Perturbee (owner) and there are: ErinPW, mockingbird288z, and ZeeGee as moderators. - Any attempt to circumvent a temporary ban or other moderator action will lead to a permanent ban of your account(s). Circumvention includes re-registering or using an already registered account under a non-banned username. Other examples include changing IP addresses, using a new email account or other action that can be taken to evade moderator action to hide your identity as the owner of the sanctioned account. - An exception to the three strike rule applies when users contact team members personally (via any method) and post insulting, indecent or vulgar material. Such users may be subject to an immediate permanent ban. - Permanent bans are a last resort and thought is given before implementing them. While we may consider lifting permanent bans from time to time this is a rare occurrence. Thank you for this post. In other forums, there has been inappropriate posts/pictures/links with no rules! Good job at laying down the law! 8. Spam is not tolerated here under any circumstance. Don't advertise any websites, products, and/or services! The only allowed links are those related directly to the Sims Freeplay! New Users posting spam will be banned and their post removed, others will be warned. Posting URLs is blocked for new users to prevent spammers posting links. Once the required amount of posts (currently three) is reached, this block is lifted. Please note that the required amount is subject to spam-levels, so if spammers try circumvent this, the limit might be changed. The same applies to posting pictures (currently no minimum amount of posts). If you don't have enough posts and trigger the anti-spam measure, please use the back button on your browser to go back to the edit page of your post. In most cases you still have your text and only need to remove the URL(s) to post it.